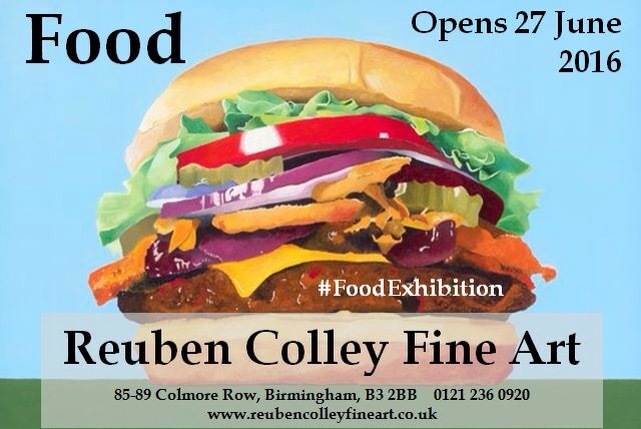 #FoodExhibition at Reuben Colley Fine Art in Birmingham. 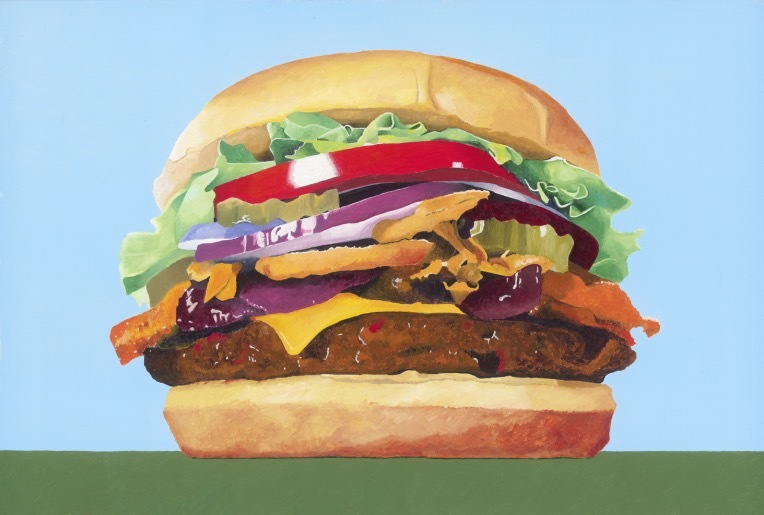 Food has often been depicted in art, but a new exhibition at Reuben Colley Fine Art on Colmore Row in Birmingham City centre from 27th June until the 30th July takes the ancient tradition of still life and lets it meet the modern phenomenon of pop art. 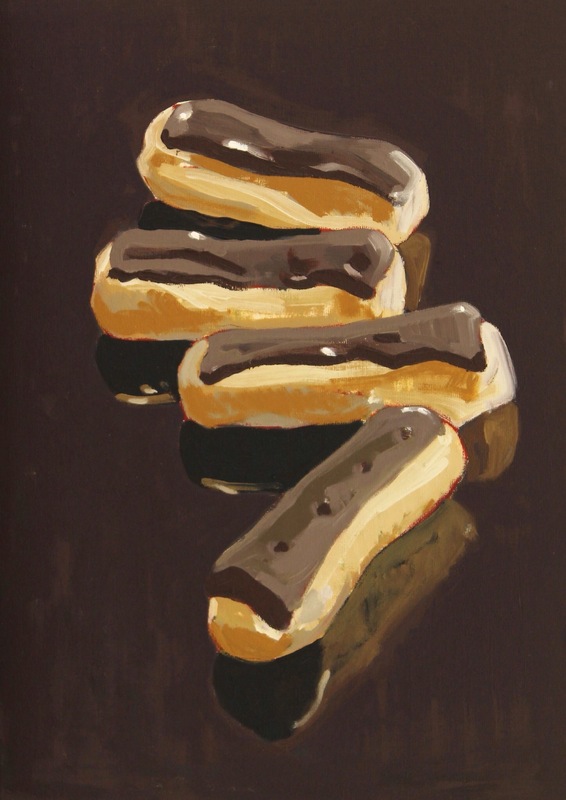 Artists turn their hands to food in all its glory from fresh fruit to fondant fancies, fried eggs and Belgian buns to Bowels of spaghetti to make a colourful and light-hearted exhibition. 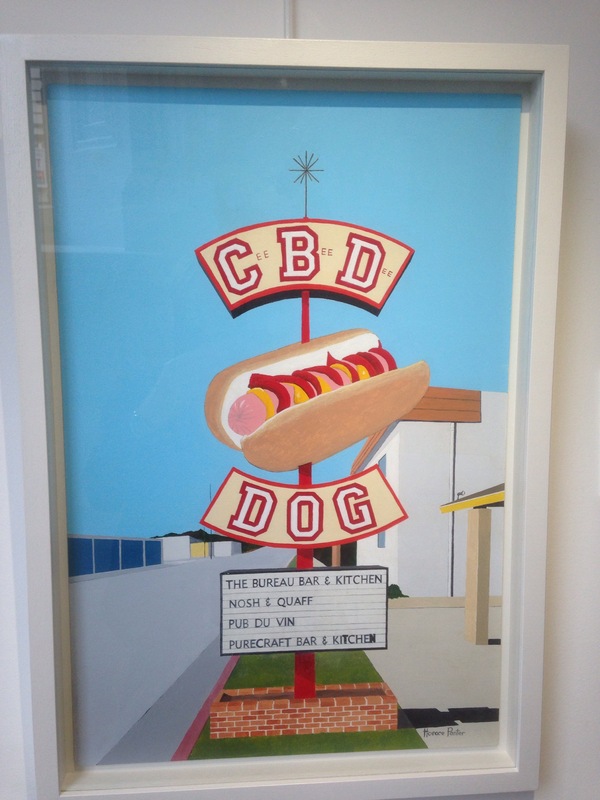 Artists such as Danny Howes, Horace Panter, Rick Garland, Mark Lippett and Cameron Gait have each brought their own unique talent and style to this engaging subject. 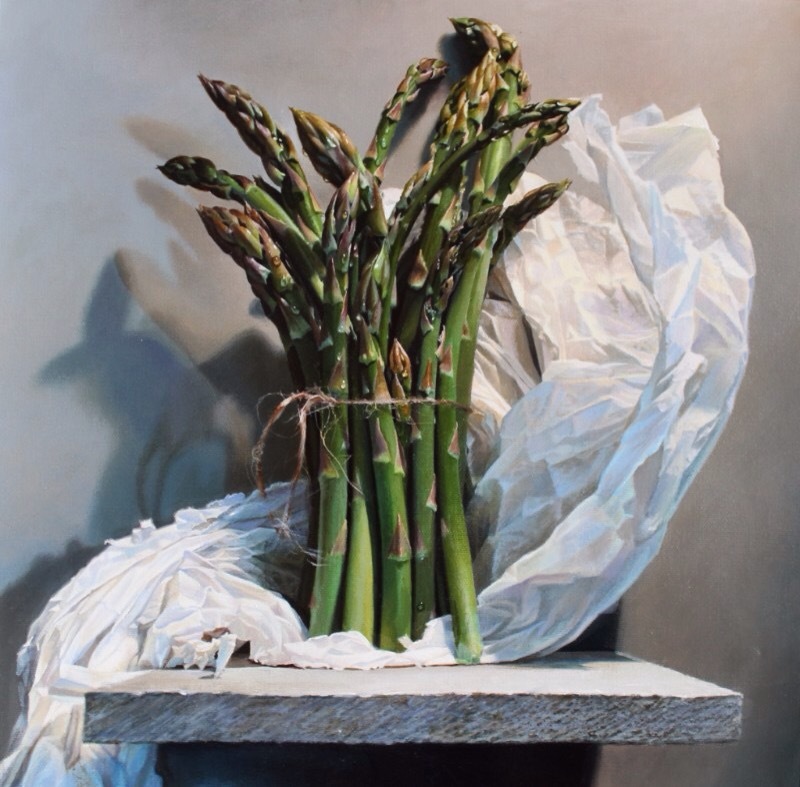 ‘Asparagus with tissue paper’ by Rick Garland. 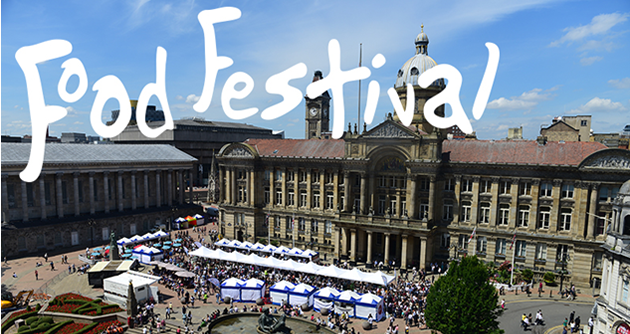 Colmore Business District’s annual two-day Food Festival will take place in Victoria Square, Birmingham on 8 and 9 July 2016. The event attracts tens of thousands of visitors and is an integral part of the city’s cultural and culinary calendars. 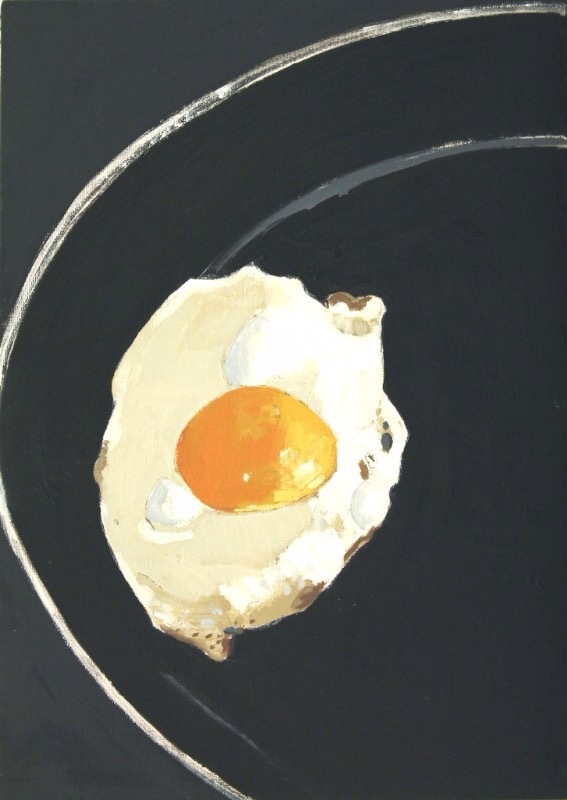 ‘Food’ has been mounted to coincide with the Colmore Food Festival and looks a stunning and interestingly foodie exhibition. 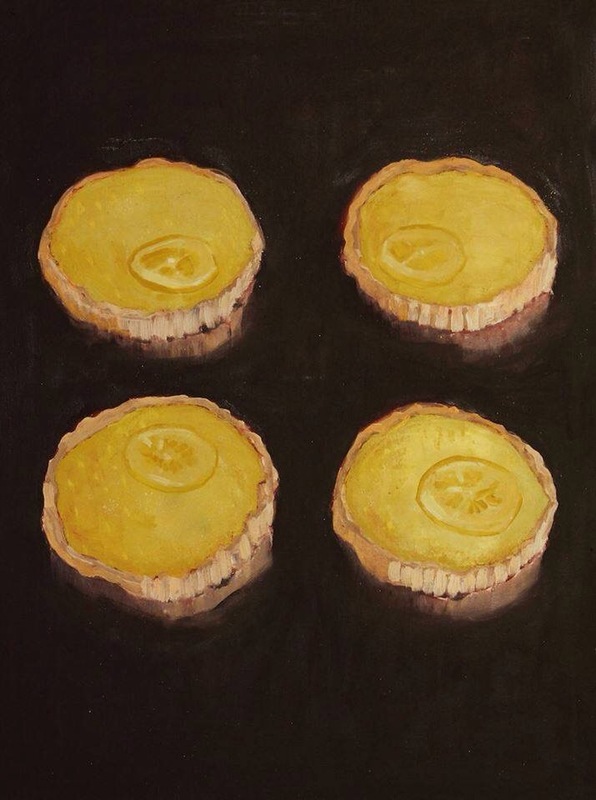 Reuben Colley Fine Arts will have a stall at the festiva in Victoria Square. 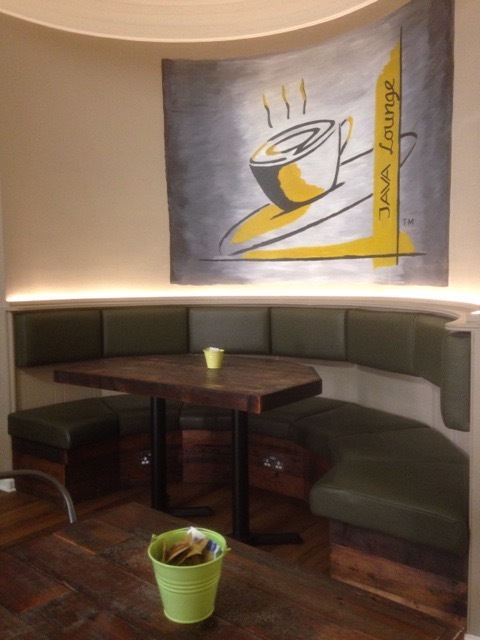 During the Festival, they will also be launching a permanent collection of our outstanding signed limited editions at Purnell’s Bistro in Newhall Street. 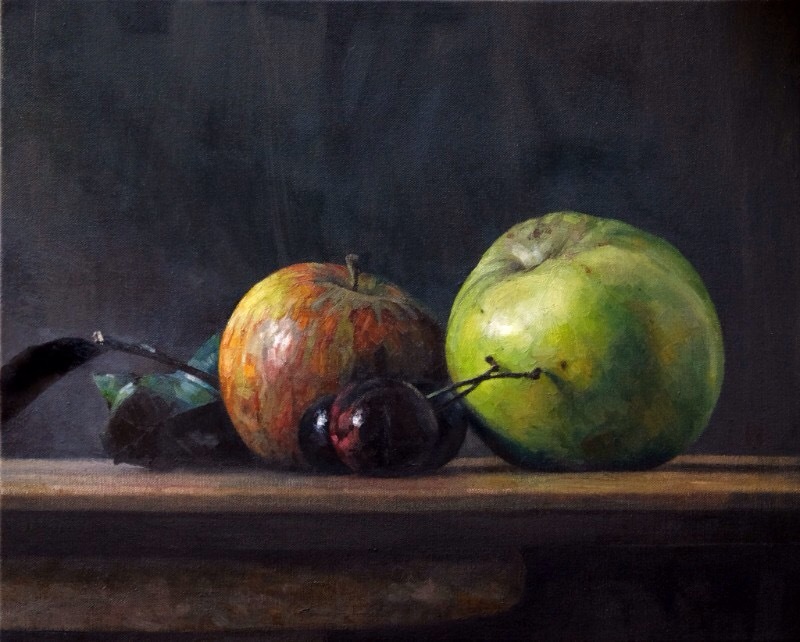 Danny Howes’ classical still life painting. 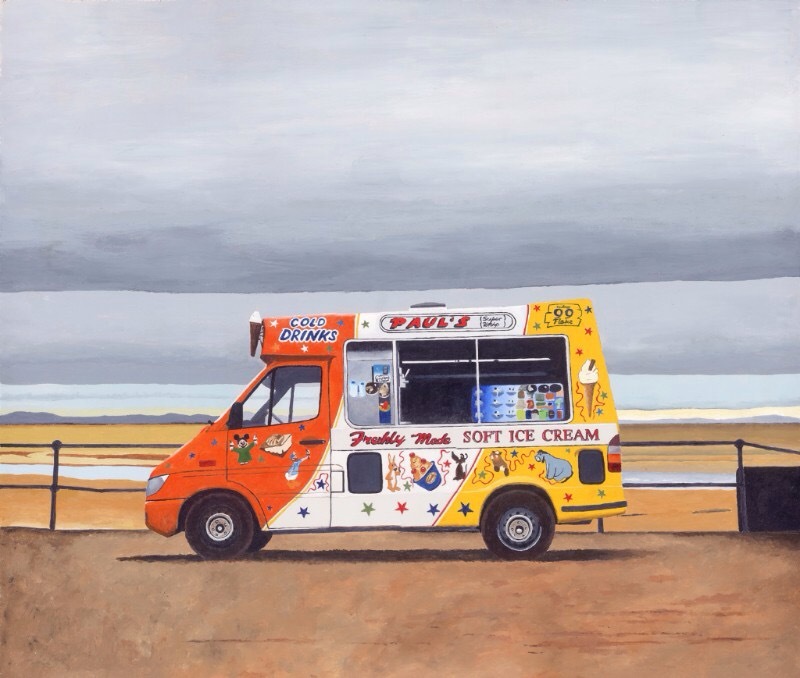 Ice cream van at a British sea side captured by Horace Panter. Spaghetti in a bowl Renaissance inspired by Cameron Gait. 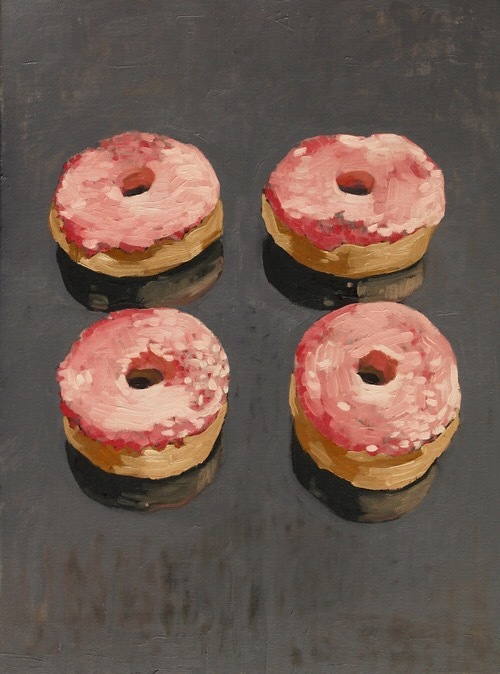 Buns depicted by Mark Godwin. 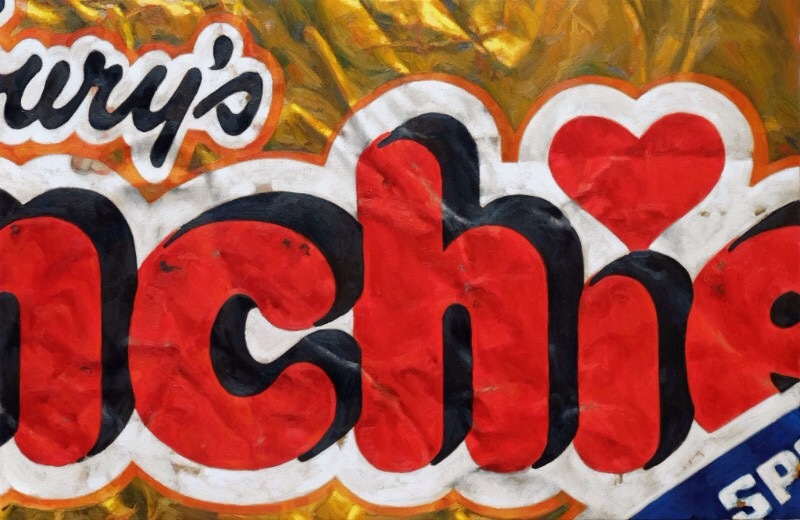 Chocolate wrappers by Danny Howes, memories of childhood. 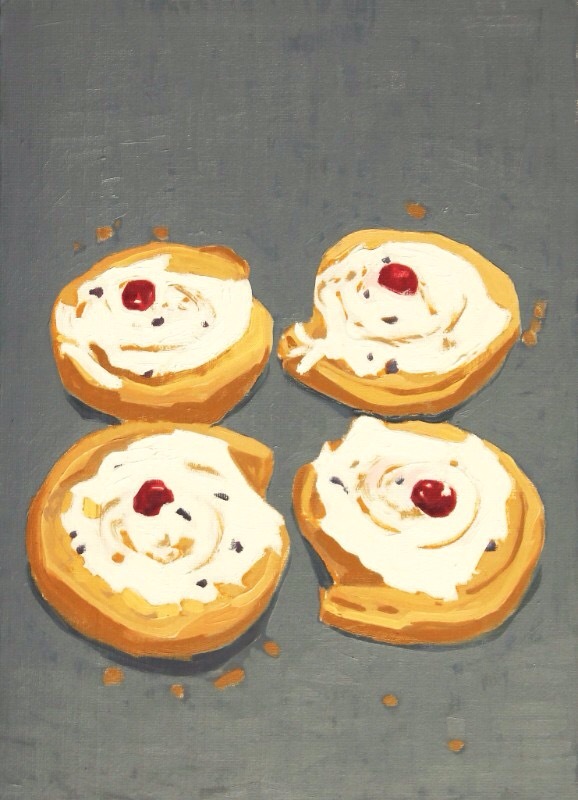 So when two of my favourite things food and Art merge, what’s not too like. Check out the exhibition until the 30th July. Reuben Colley Fine Art, 85-89 Colmore Road, Birmingham, B3 2BB. 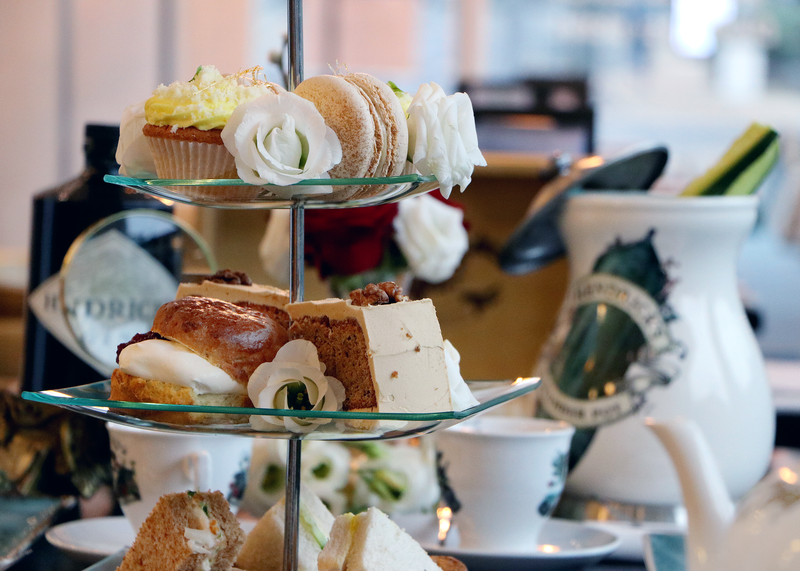 Colmore Food Festival is from July 8th-9th in Victoria Square. All images from the exhibition. 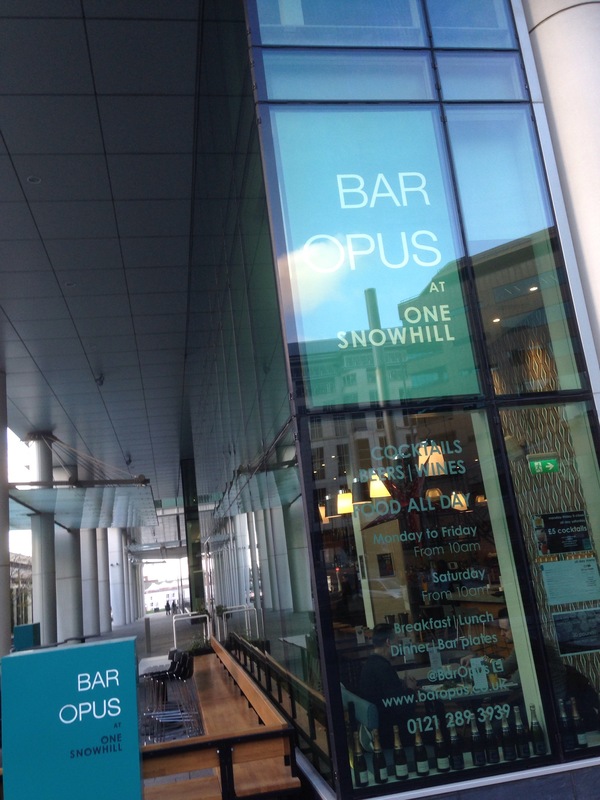 Opus launch new 2 course for £25 Market menu every Friday evening with added wine. 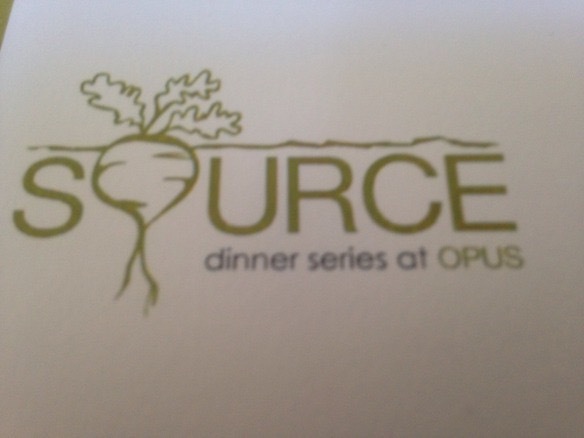 Friday evenings at Opus is a new concept menu that celebrates local and sustainable produce. Now you know what they say. Never look a gift horse in the mouth, or eat 5 a day: Either way, Opus has this sorted. 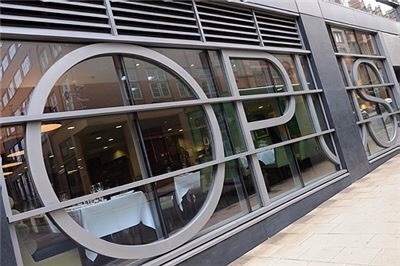 Opus is one of the best restaurants if not the best for vegetarians in Birmingham that isn’t purely veggie. So if you have meat eating mates or partner, then this bargain Friday indulgence maybe for you. 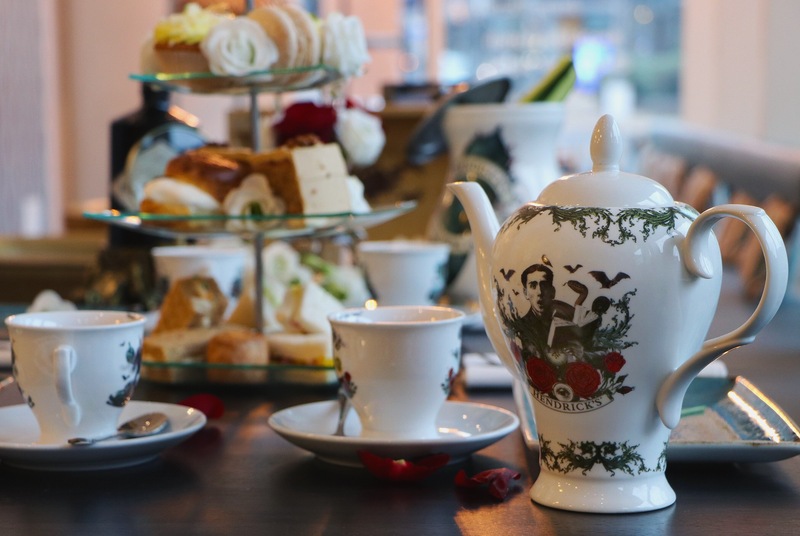 Every Friday you can enjoy two courses from their British market menu including Vegetarian options, home baked bread and half a bottle of house wine for £25.00 per person. 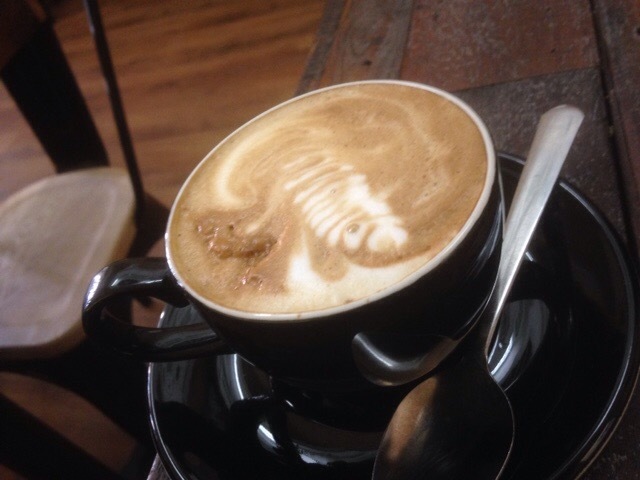 The perfect way to kickstart your weekend! 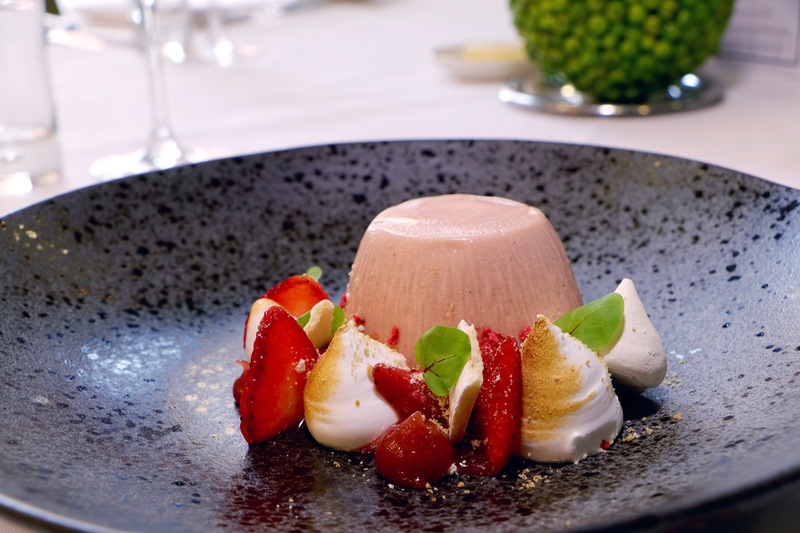 All dishes reflect produce from their family of farmers and fishermen around the British Isles, including Worcester Produce, Caroll’s Heritage potatoes, M&J Seafood, Brixham Seafish, and award winning butchers Aubrey Allen. Available Every Friday from 6pm for £25 per person. 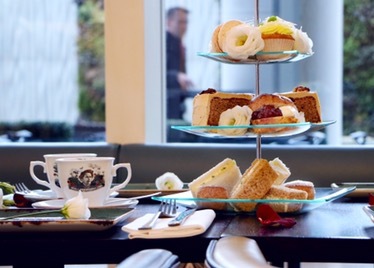 Join in an celebrate the beauty of British produce. Photos from Opus’ recent vegetarian menu. 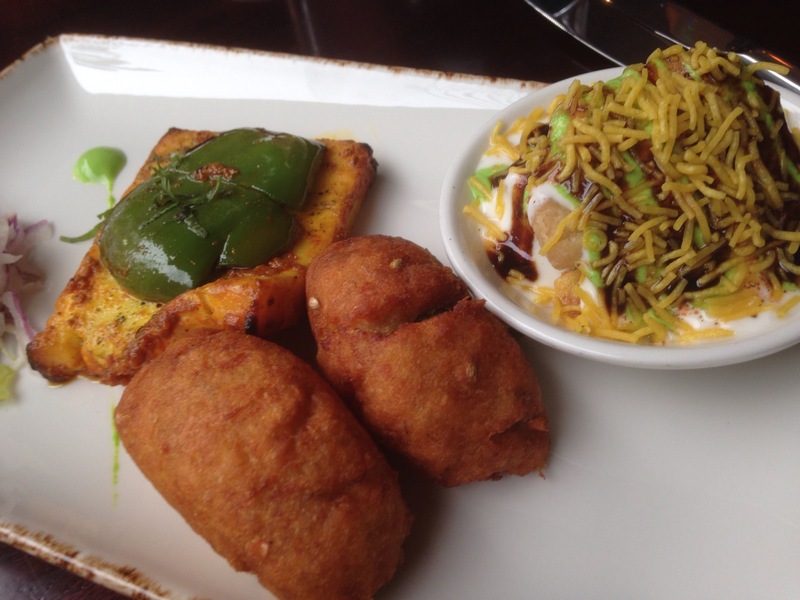 Veggie lunch watch: Asha’s restaurant, Birmingham. Some restaurants will always hold a special place in your heart. The type of place that you go back to because it conjures those memories that make us who we are. That is certainly the role that Asha’s in Birmingham City Centre fills. 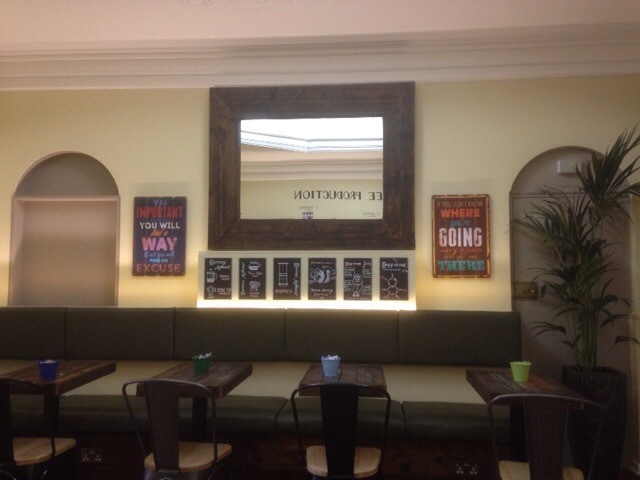 It was here that Ruth and I ate on our first proper date, where we talked and ate for what felt like ages. 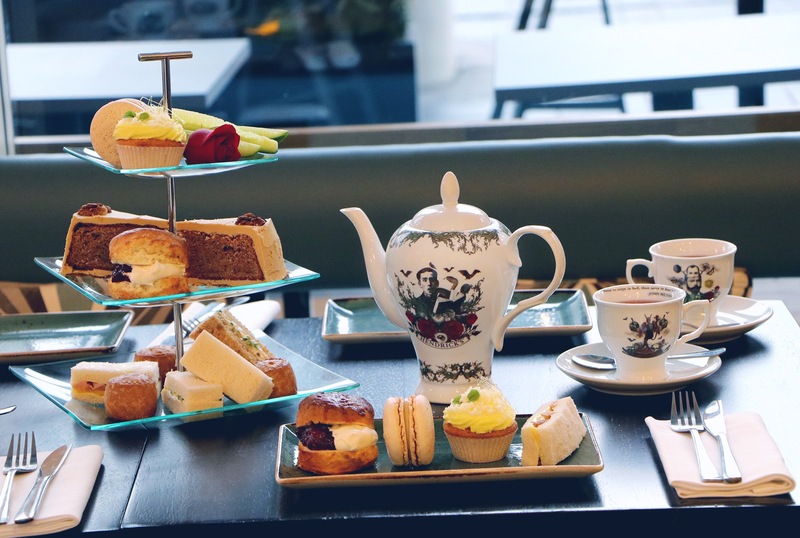 On that night I can remember talking about singer Nick Drake and the place his music fills in both our lives, laughing and feeling happy that I’d met someone like Ruth who I could talk to at length and who shared my love of food. Then on another occasion I remember celebrating our engagement here with friends, of eating there with my brother a few weeks before I got married to Ruth, a little celebration, a toast to the future. So for my Birthday lunch on this occasion it seemed the right place to go. What is it about some places that have this resonance, have this pull? 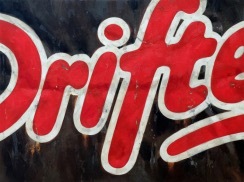 Is it the food, the atmosphere, or does the memory fuel the desire to revisit? In Asha’s case it’s all of those. 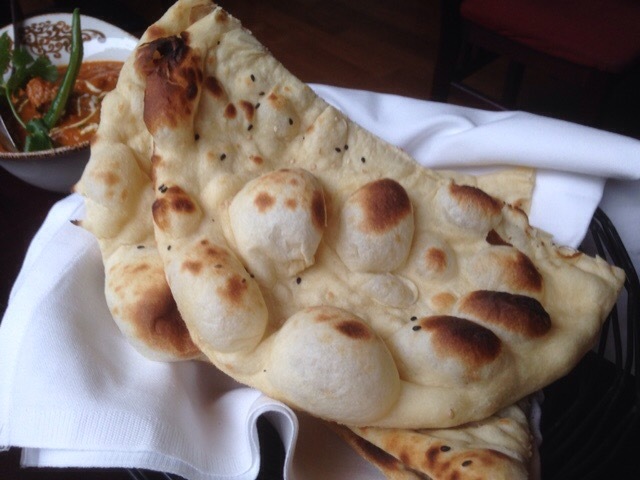 Asha’s is located on Newhall Street, in what is known as the Colmore Business District of the City Centre. 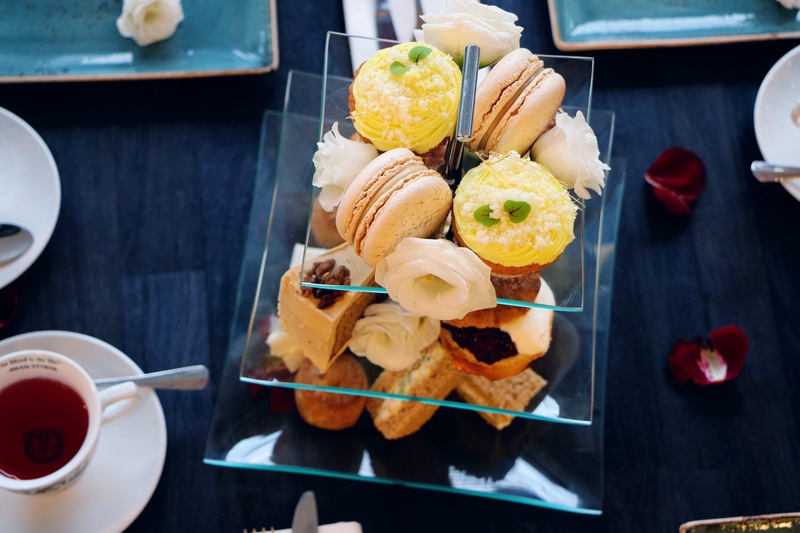 Approximately 5 minutes from the shops, the restaurant offers a large bar area that serves cocktails (recommended) and is a good venue for private parties and celebrations. 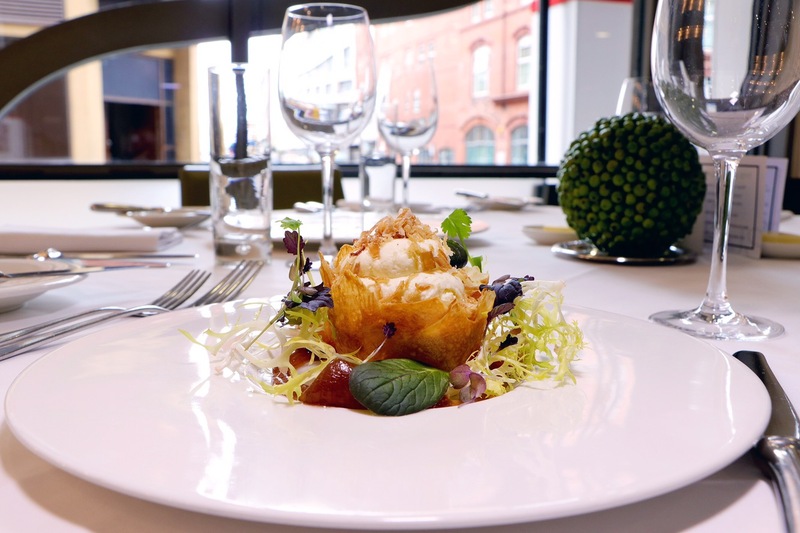 Rated in the Michelin Guide, Asha’s has a stylish, but cosy and warm feel about it with a sophisticated note that stems from the clientele and delicious cocktails that it serves. 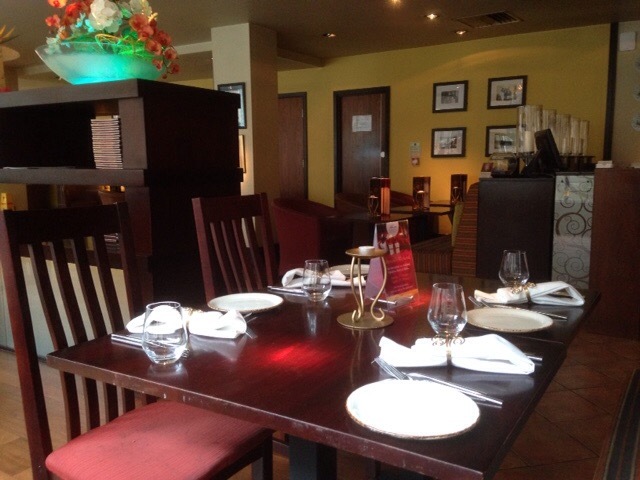 Decor is exotic (a bit Bollywood) and the menu is extensive with good and varied choices for vegetarians. 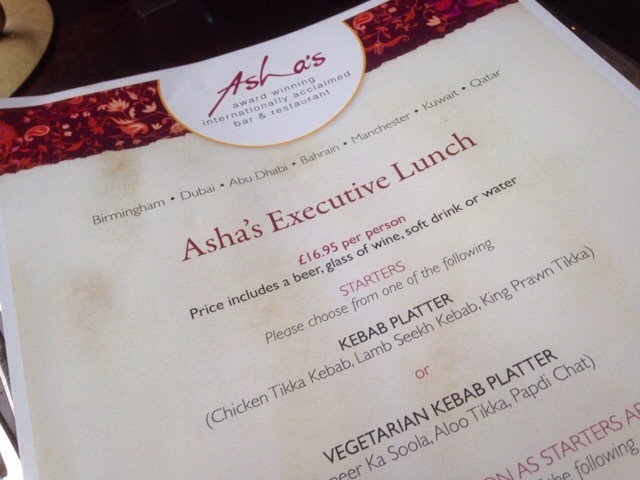 Asha’s offer an Executive Lunch. 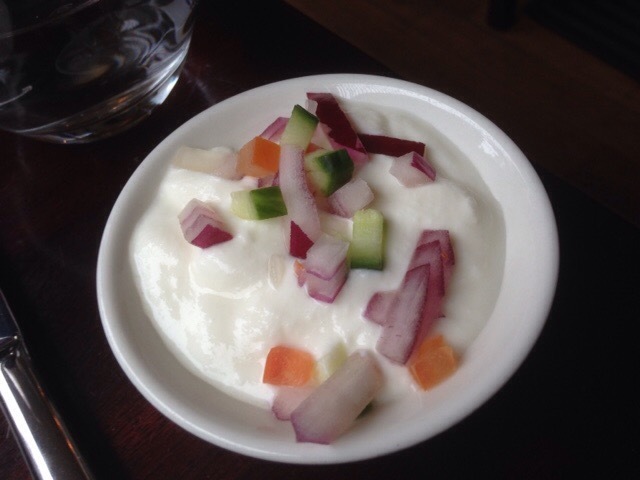 For £16.95 you get 2 courses, with pulao rice, vegetable raita, Popadoms and a selection of bread. 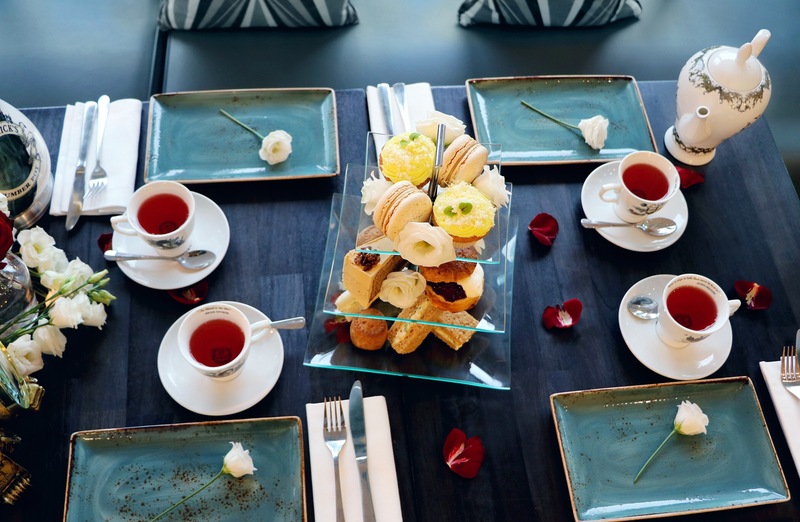 The price also includes either a glass of red or white wine, beer, soft drink or mineral water. There is one Vegetarian choice on the starters and main courses (which may deter some) with four non vegetarian main courses including a fish curry. The vegetarian options were a Vegetarian Kebab Platter (Paneer Ka Soola, Aloo Tikka, Papdi Chat) and the main course of Kadhai Paneer. 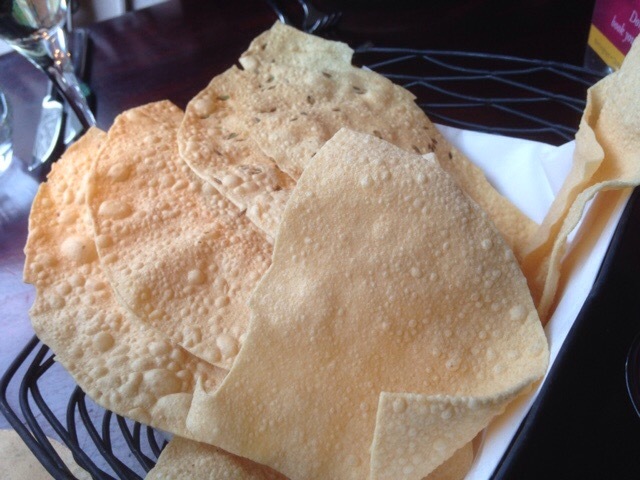 Crisp Popadoms with varied dips, some of the best I’ve eaten. 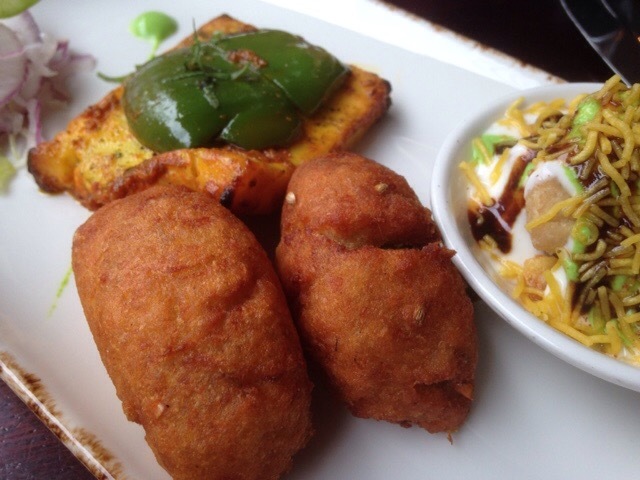 Starter: Comprised of Paneer Ka Soola: A delicious marinated, firm paneer piece, juicy, served with a green pepper that had a nice deep spice flavour. This contrasted the Aloo tikka or spiced potato patties. 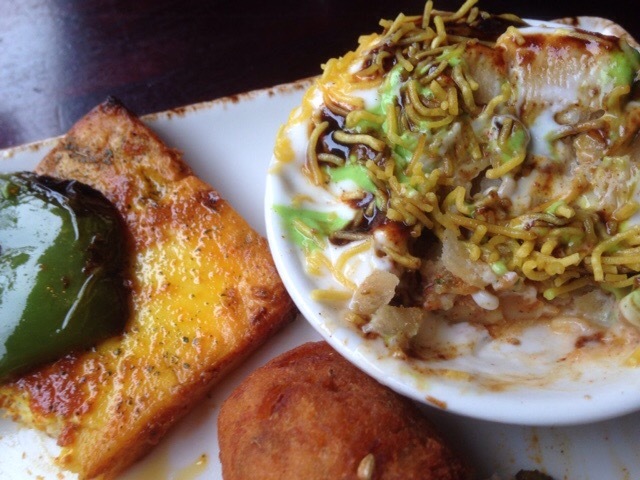 The perfect Northern indian street food. 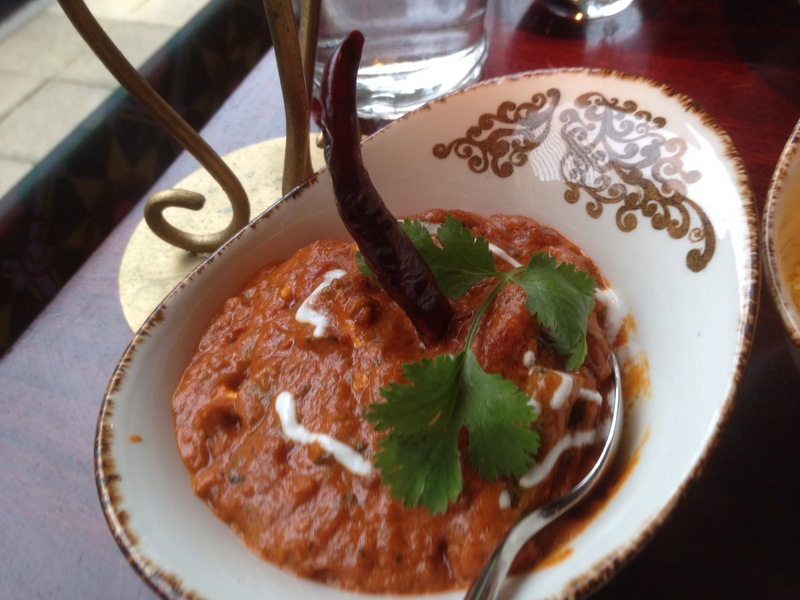 Asha’s were hot, spicy, with a crisp outside and soft inside with a good savoury flavour. and perfect with the creamy Papdi Chaat. For me one of the best dishes in Birmingham. A lovely street food dish. 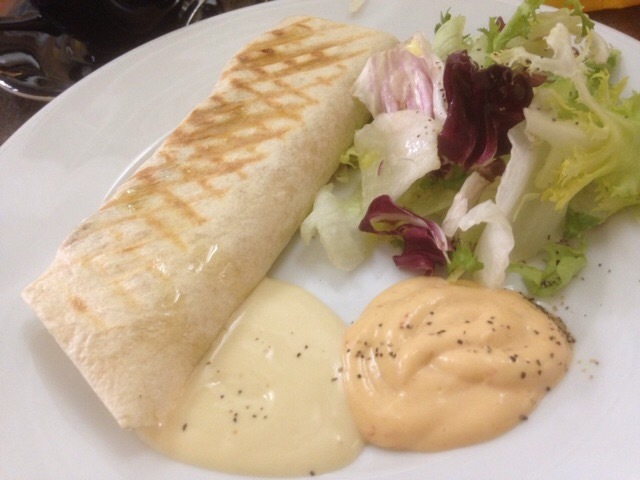 With a Creamy and crunchy texture, a melt in the mouth fusion of chick peas, potatoes and yogurt. 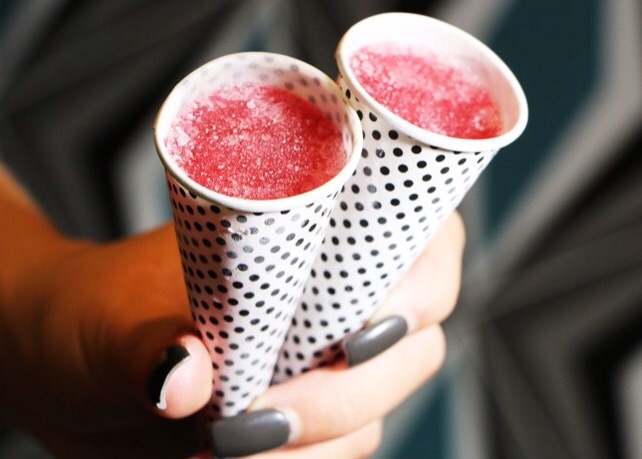 Sweet, sour, tangy and spicy flavours. 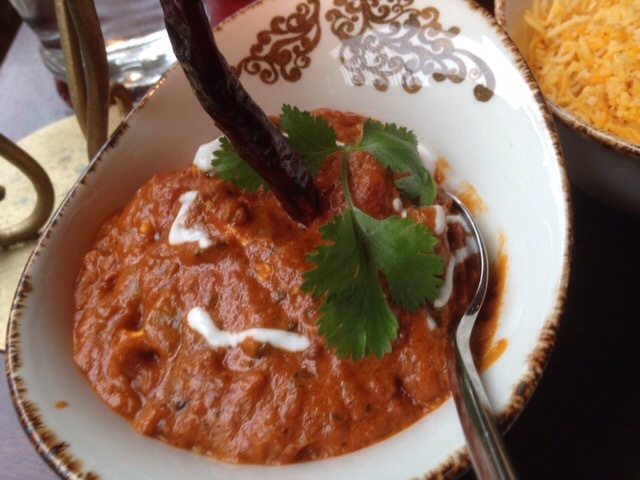 This dish had me in Mumbai. 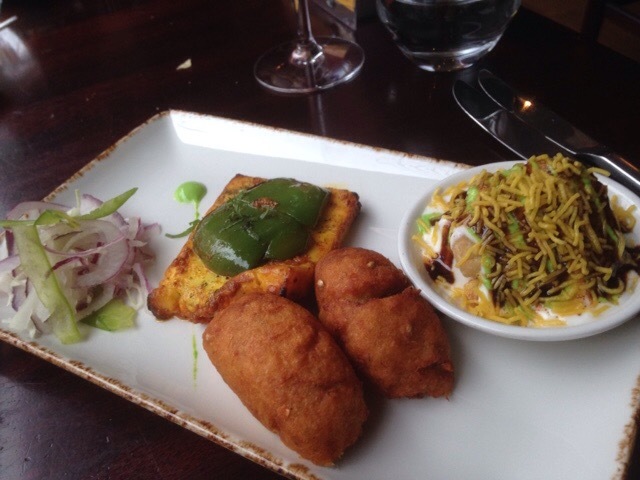 A Delicious and varied vegetarian starter platter. 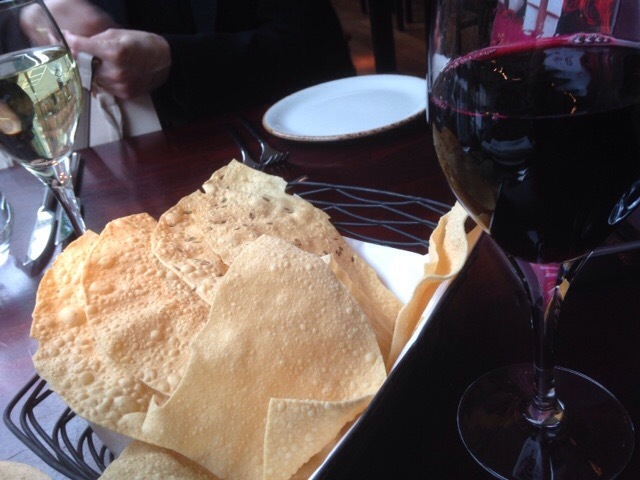 Rice and breads with a glass of Red wine. My main course was the Kadhai Paneer and came with the pulao rice, vegetable raita and selection of breads, including Naan and Roti. 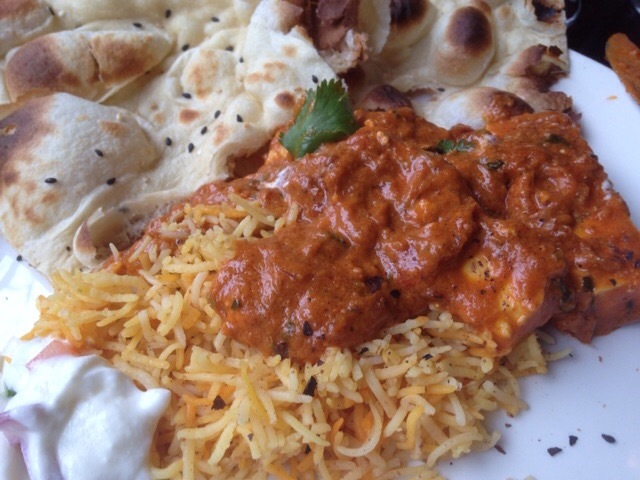 A mouthwatering dish, delicious gravy like consistency, paneer blended with tomatoes onion, with a good spicy lift that served with the Naan made for an exotic taste. Lovely. Kadhai paneer served in a nice bowl. 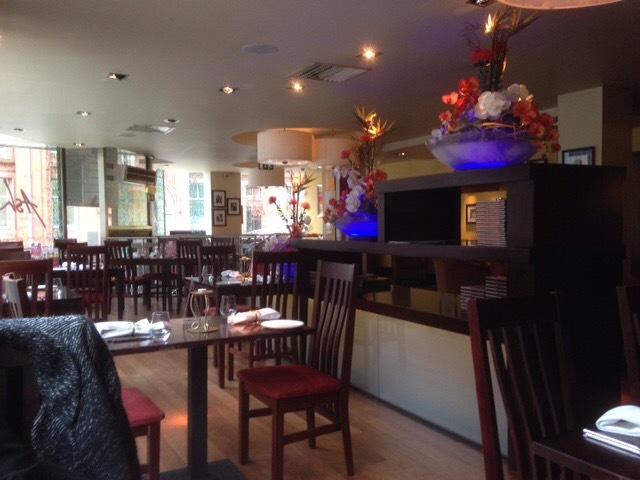 Asha’s is stylish and exotic with a keen eye on the business surroundings outside. 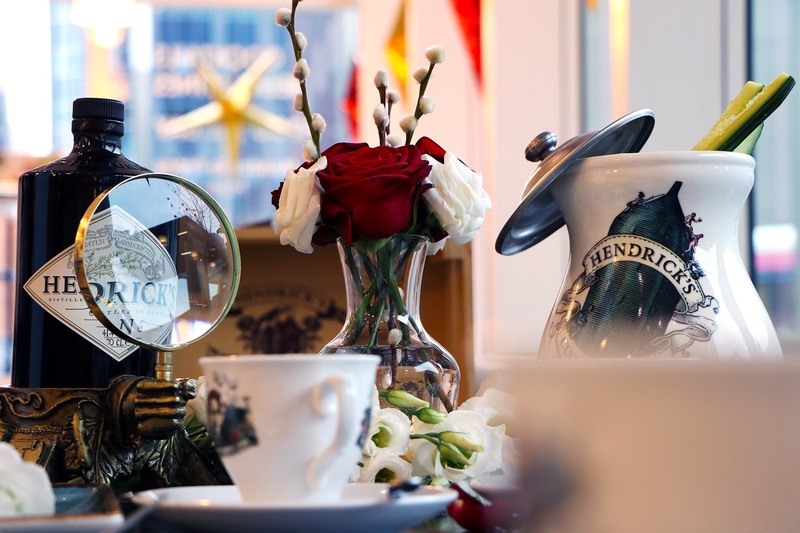 The vegetarian options on the Executive Lunch Menu are cooked with aplomb and are plentiful. 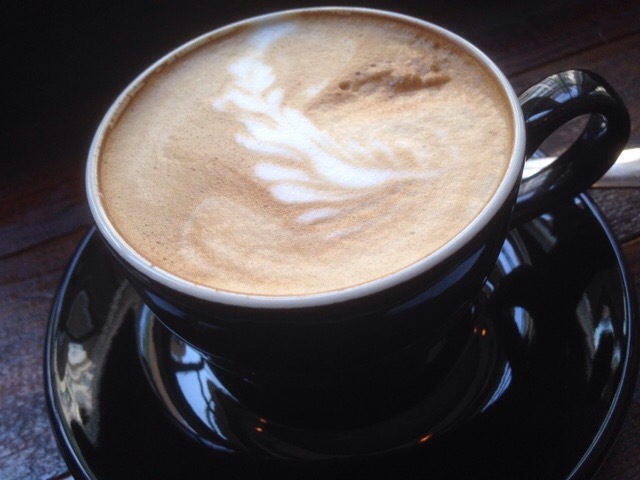 Asha’s is a sophisticated spot, with a warm feel and atmosphere especially on the weekend. 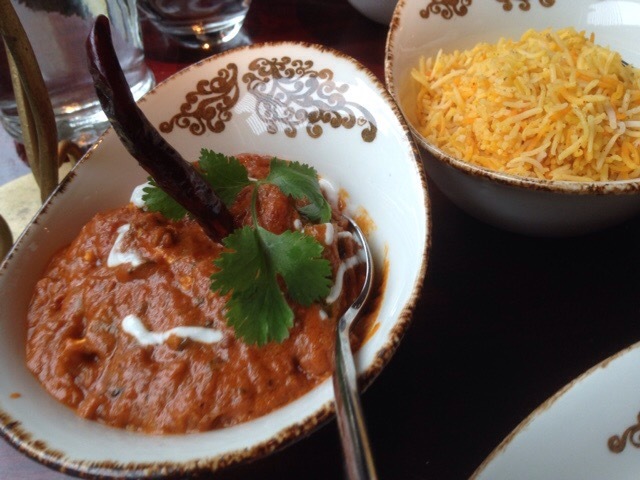 Birmingham has many curry houses but if you want a superior meal in Birmingham City Centre then you won’t go far wrong with Asha’s. 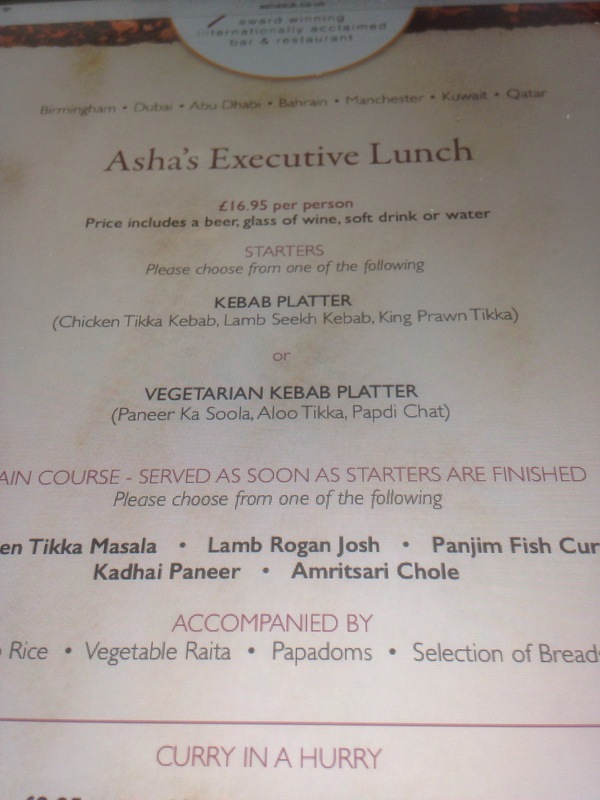 For value and quality the Asha’s Executive Lunch is a steal and a lovely way of spending that hour of the day which is so precious and for a celebration it’s well worth revisiting. We paid for our lunch in full. All opinions expressed are mine and honest as always. 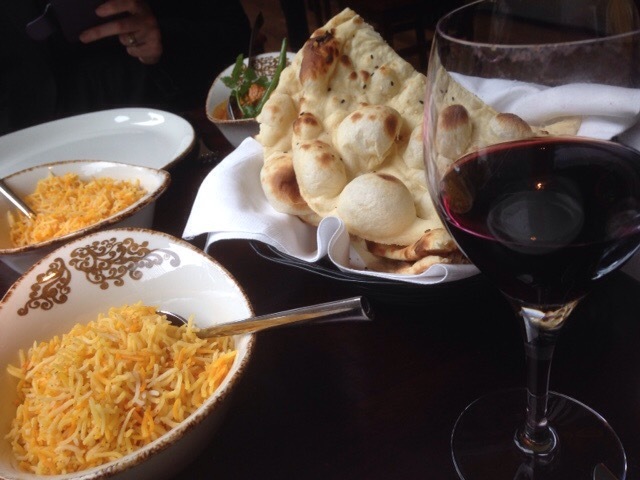 Ruth enjoyed a glass of house white with her meaty curry and myself a glass of house red with our lunch. Both went well with the dishes. 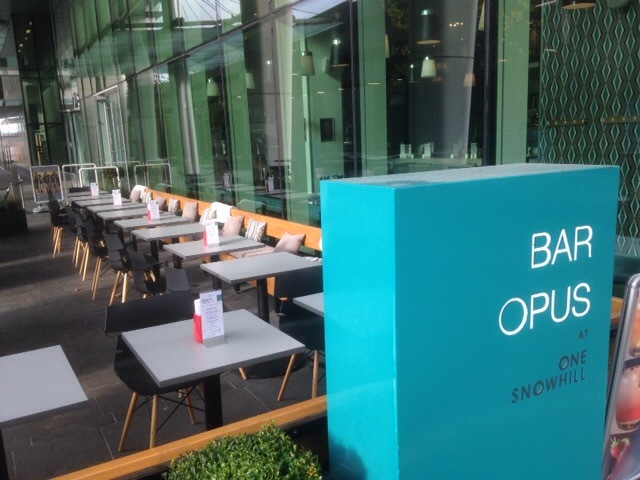 Review: Vegetarian menu at Opus Restaurant, Birmingham. It seems quite an obvious thing to have. 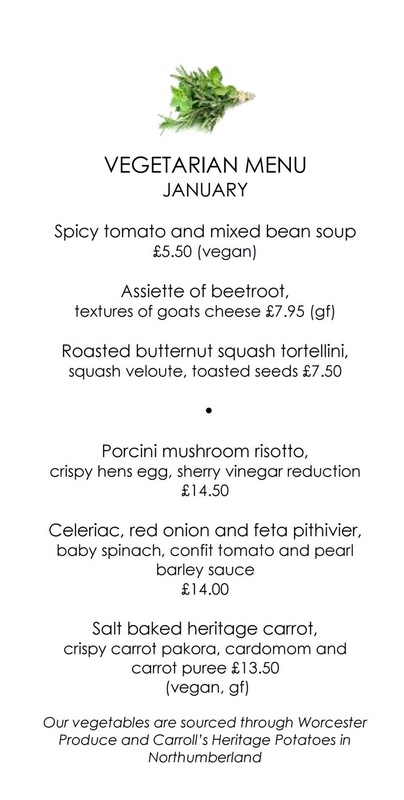 A Vegetarian menu can demonstrate your commitment to vegetarians, but also to the produce you use and to the producers. You’re giving them a helping hand and saying here you go this is your time to showcase your wares. 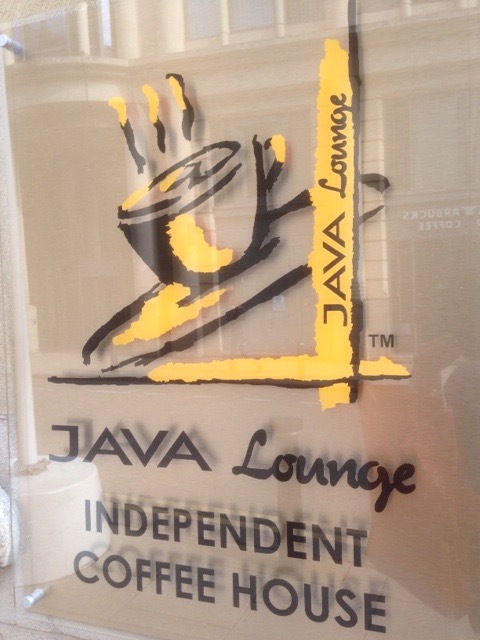 Little things help, not that I’m particular about restaurants of a certain Ilk not having a menu for me to peruse. Some of the best meals I’ve had have come off the cuff or from a limited menu of veggie goodness. 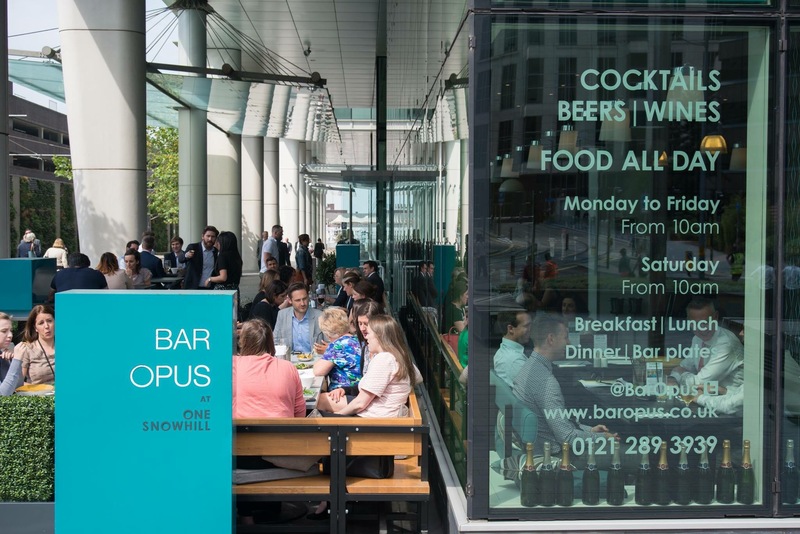 For Opus Restaurant on Cornwall Street I guess it makes sense to have a vegetarian menu, it allows their producers Worcester Produce scope to be given a platform to grow and perform and the chefs an opportunity to create menus that reflect seasonality like it should. That’s an excellent philosophy from the field to the plate. Its one they own and do if you’ll allow me the indulgence, oh so well. 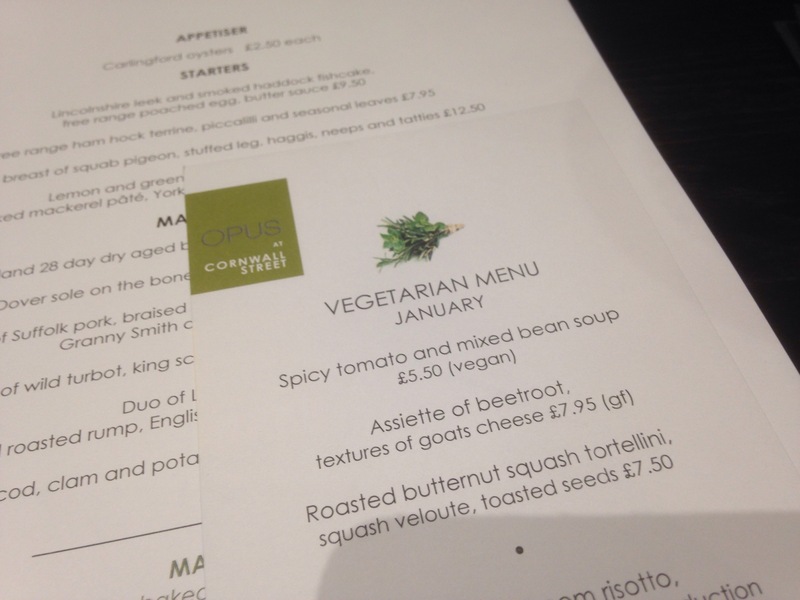 The Vegetarian menu was launced in January, initially to be changed every month, this has now been amended to a change every season. There is a market menu that changes more frequently also available. 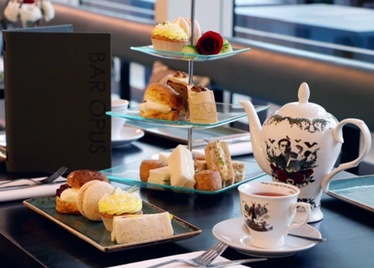 Ruth and i visited on a Saturday evening, and from experience Opus tends to be busier on a Friday and Saturday evening and had a nice chatty atmosphere throughout the evening. 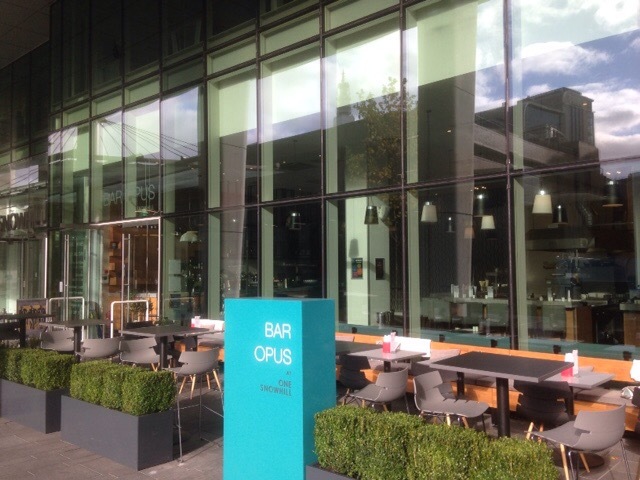 Opus is an excellent choice for a celebration, but is relaxed enough for a chilled lunch or evening out. 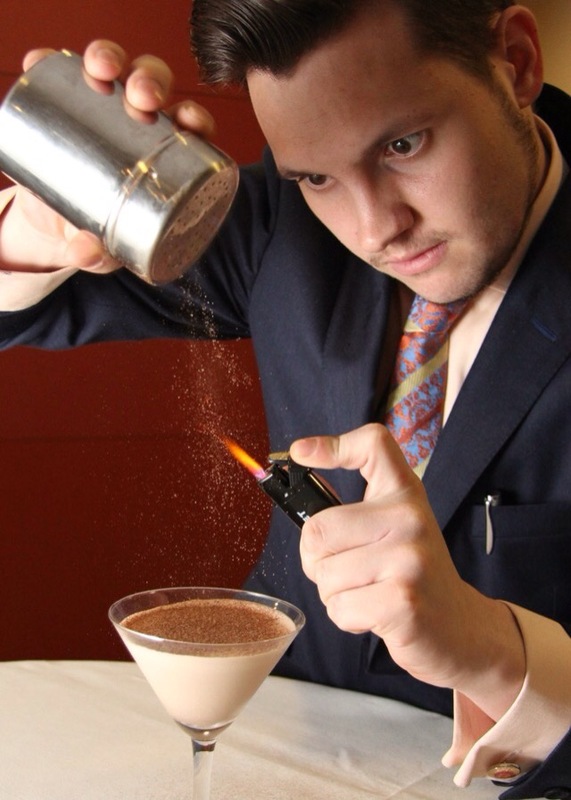 We began in the large bar area at the rear of the restaurant in order to have a cocktail and look through the menus. 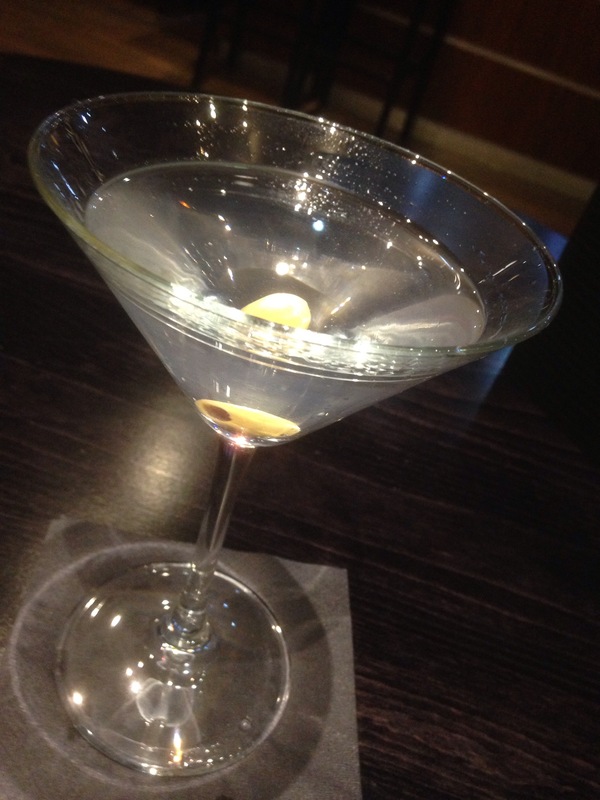 We ordered an exemplary Dry Gin Martini, classily made by Thomas the bar manager with Hereford Chase Gin, who deserves a special mention for his hospitality and cocktail. Dry and soothingly beautiful it was a mighty fine thing. 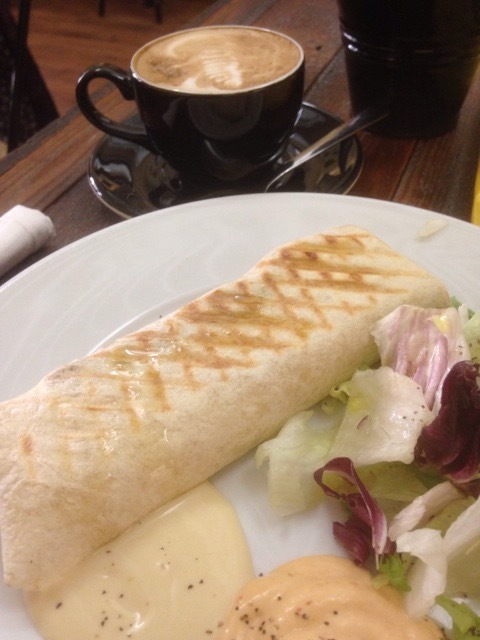 We both chose to eat from the Vegetarian menu which offers two Vegan dishes also. 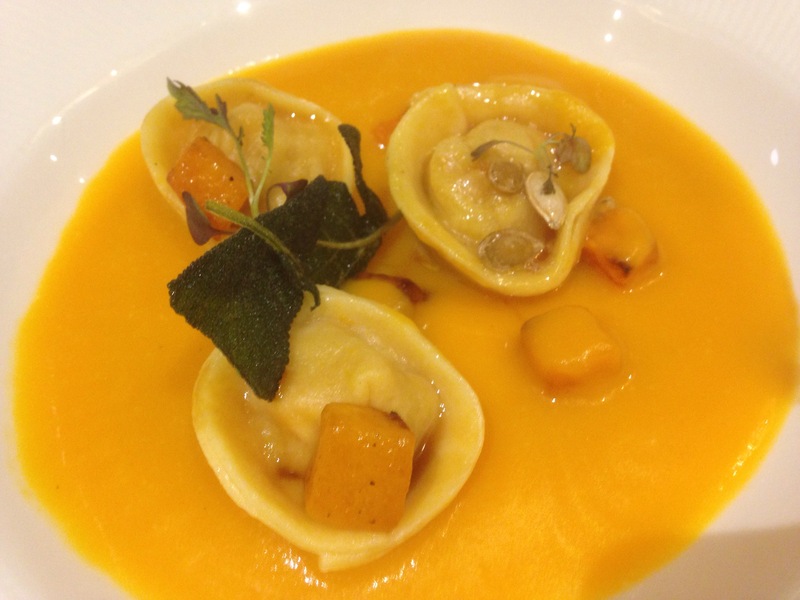 Both Ruth and I chose to order the Roasted Butternut Squash Tortellini, Squash velouté, Toasted Seeds. Dish Before the velouté was poured over the tortellini. We both thought the dish was stunning. 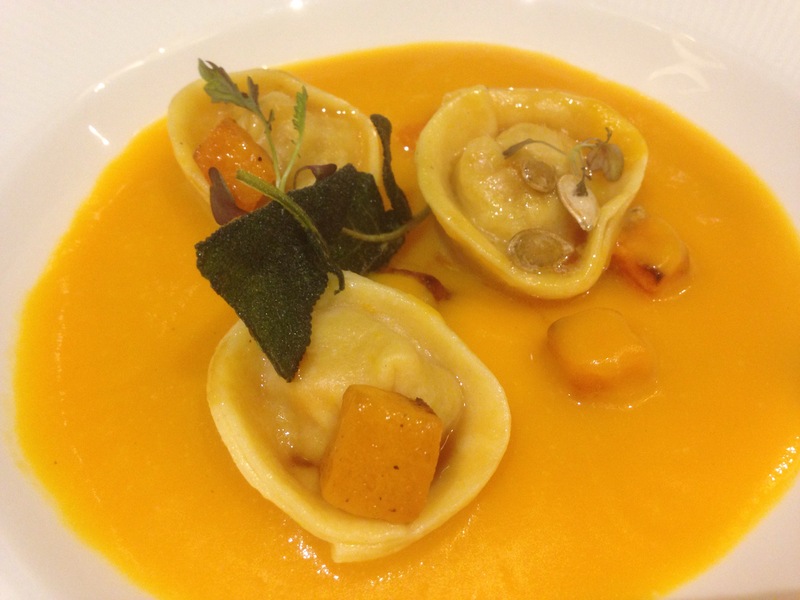 A real taste of the winter season, where a gentle natural heat came through and demonstrated the versatility of the squash with Perfectly cooked tortellini, a luxurious dish of real quality and elegance. 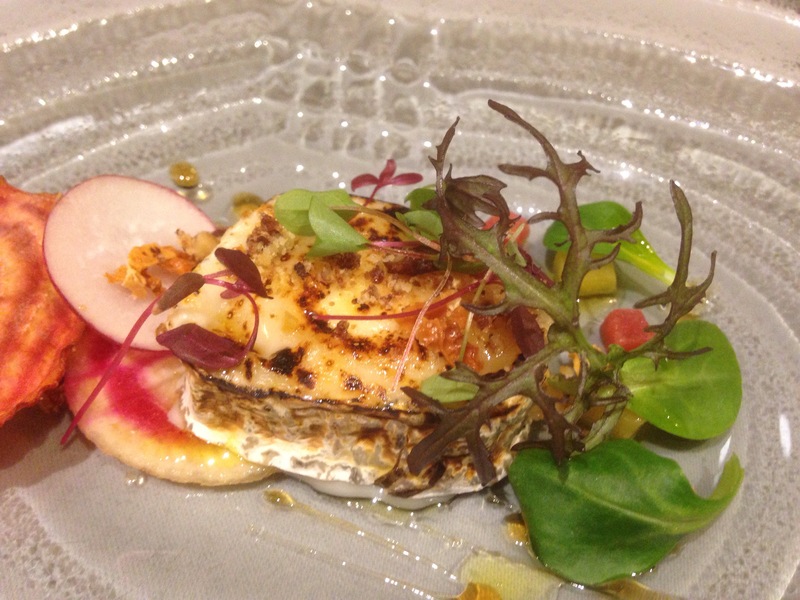 We also both tried a second starter off the menu, as a pre-main course dish. 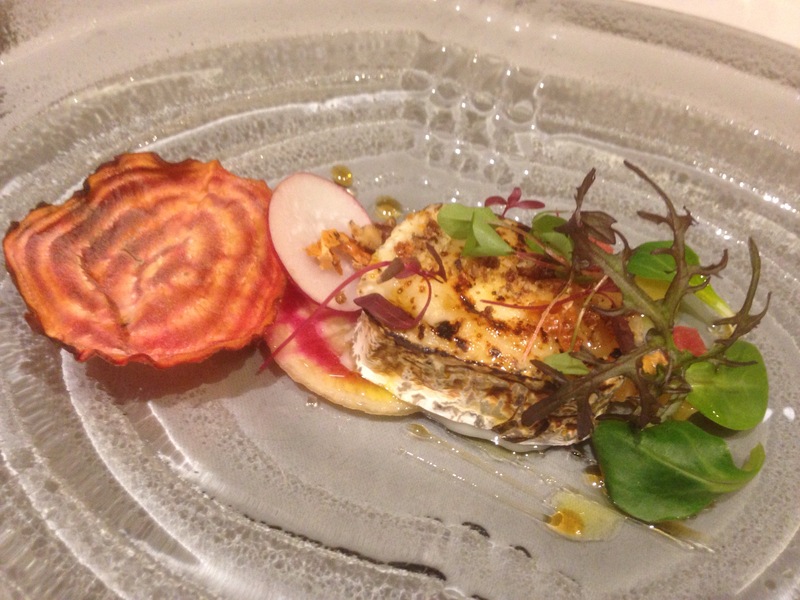 The Asiette of Beetroot, textures of goats cheese. This was a fine starter, that though wasn’t as stunning as the velouté before was full of the earthyness of the beetroot which woked well against the creamy goats cheese. An impressive starter which used the fantastic thinly sliced and striped sweet candy beet (from Worcester Produce) against the creamy soft goats cheese. 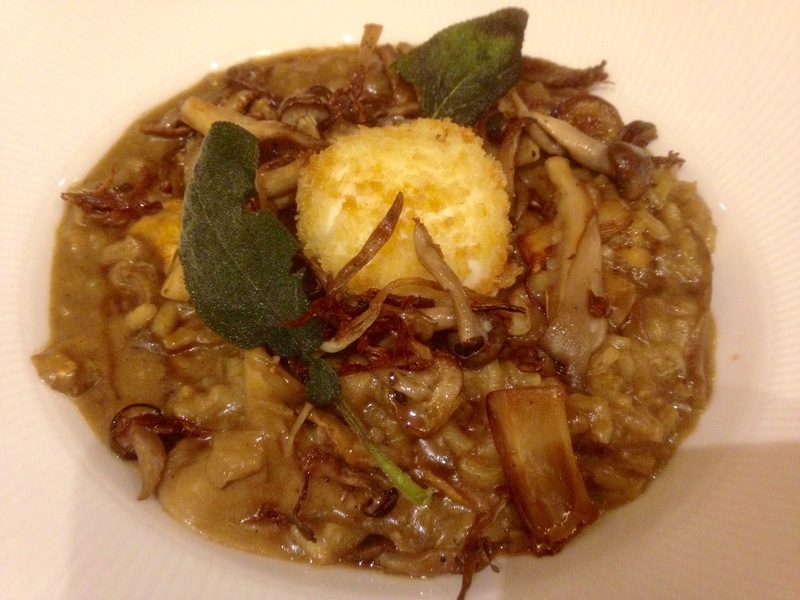 For her main course Ruth chose the wintry sounding Porcini mushroom risotto, crispy hens egg, sherry vinegar reduction. A twist on the traditional Northern Italian dish was certainly a winner with Ruth. She loved the earthy intense nuttyness of the porcini (piglets). 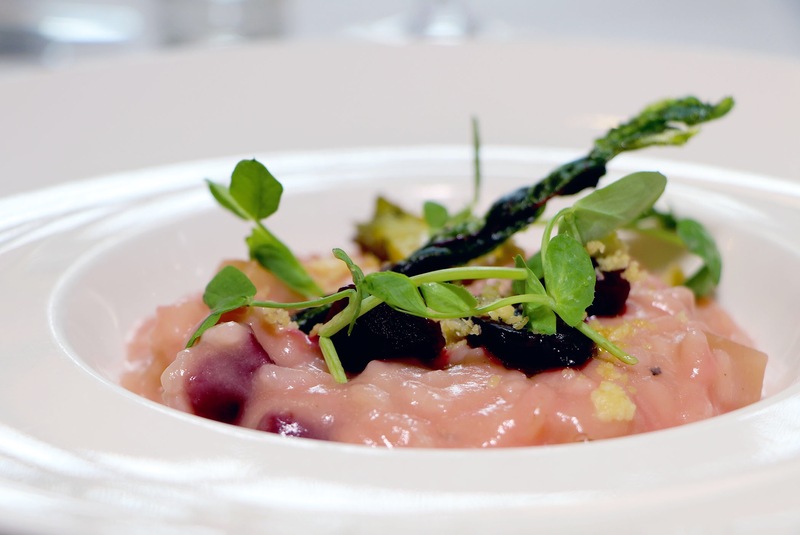 She said it was perfectly executed, the risotto the right texture and the strong depth of flavour showed off the so called king of mushrooms well. The added hens egg on top gave it a creamy addition when broken into. A delicious rich dish, which on trying i concurred with. 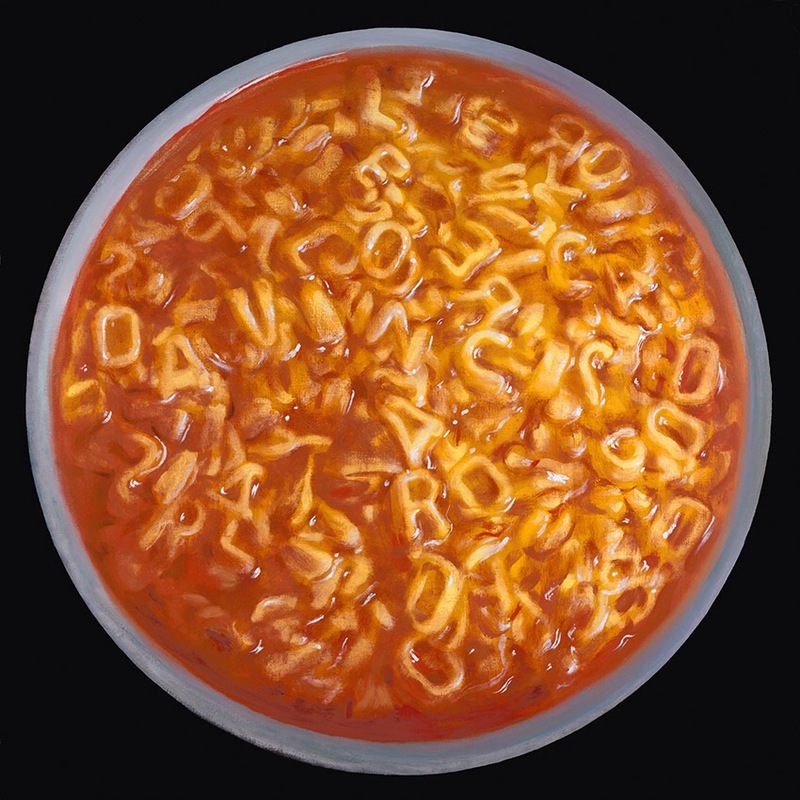 The ruling class of risottos. 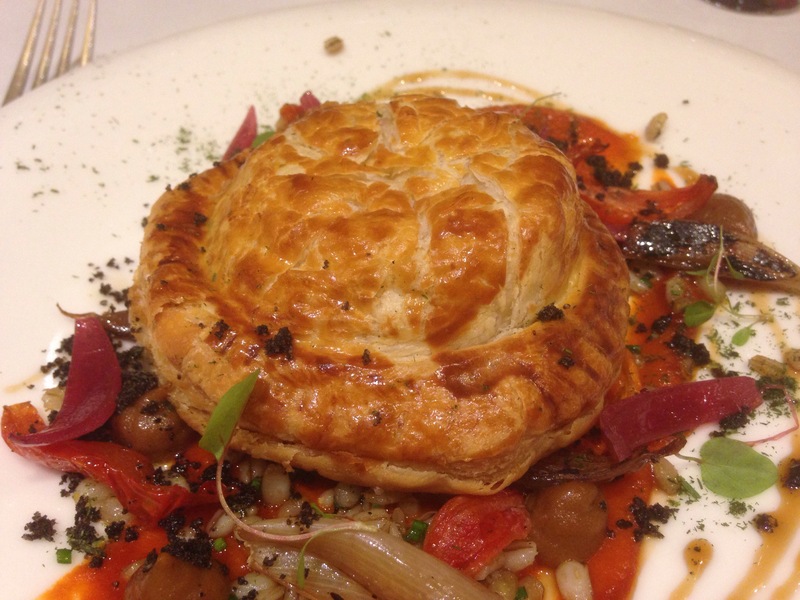 I chose the beautifully sounding Celeriac, red onion and feta pithivier, baby spinach confit tomato and pearl barley sauce. 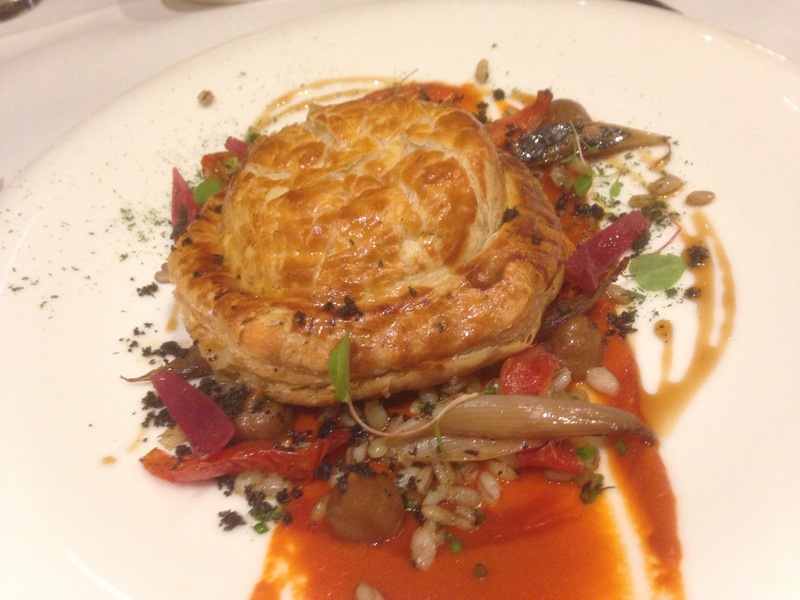 A pithivier is a classic French savoury pastry dish (I love pastry dishes) with a distinctive round shape and sunbeam pattern scored on top. 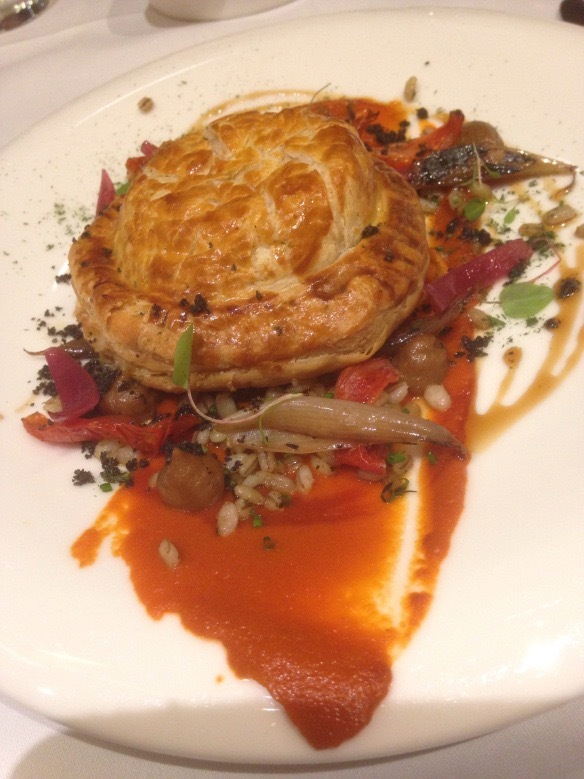 Beautifully presented, the contrasting ingredients worked well with the feta holding it all together to make a stunning winter pie that though large in size wasn’t heavy but had a light finish. 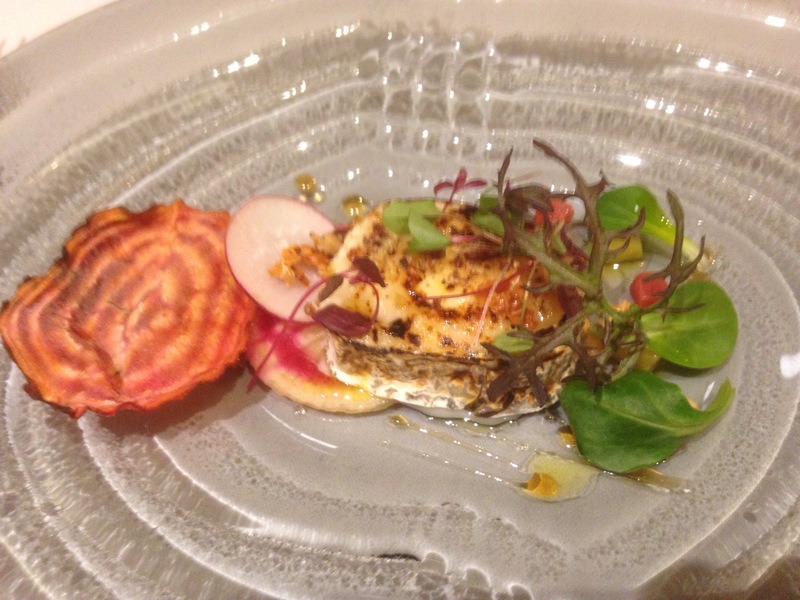 A real centrepiece dish which showed off the subtle but slightly nutty celeriac and confit tomatoes well. 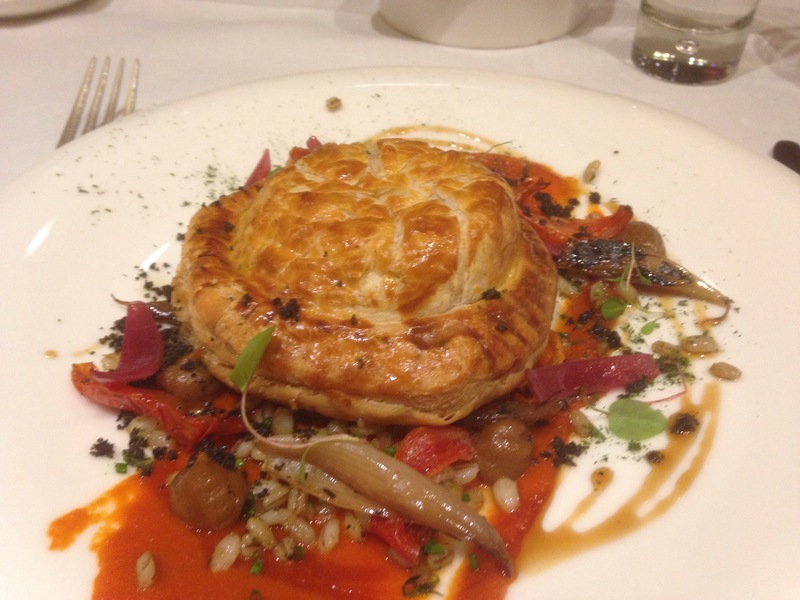 A special mention to the Pearl barley sauce which gave the dish an extra wow factor. 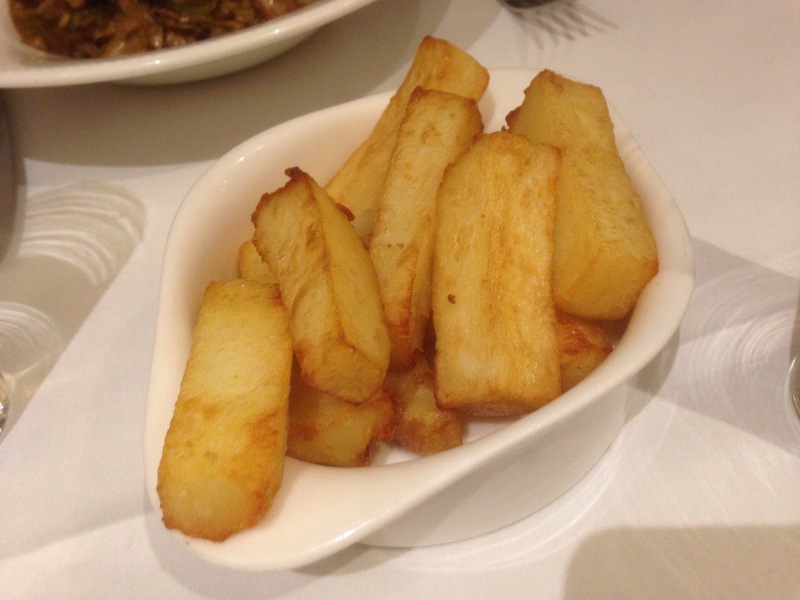 We also ate some top notch chips as a side extra. Naturally they went perfectly with the pithivier. 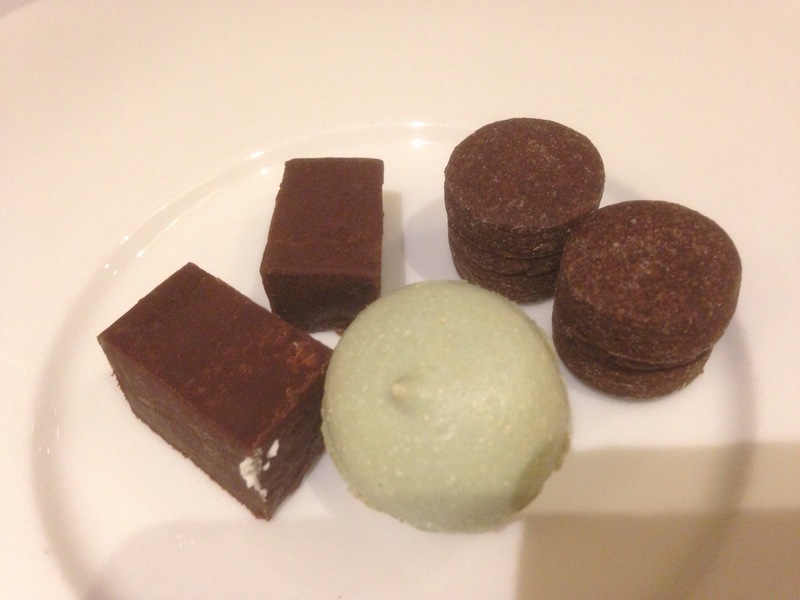 We chose not to have a desert (but recommended) as we had enjoyed a pre main course, but chose to have two excellent double espressos and petit fours. These were ok, though not the best we’d had and were slightly underwhelming considering they were on the desert menu as a dish to buy. Could be improved. 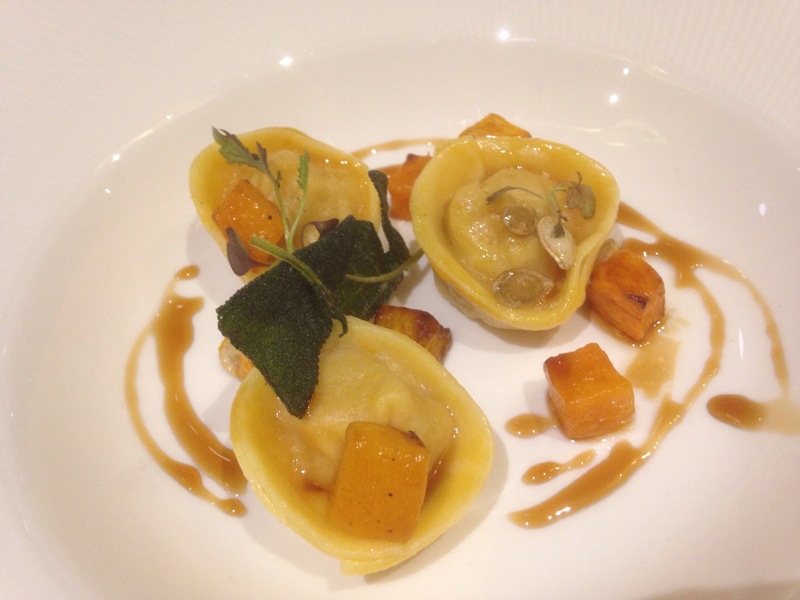 After visiting Opus last year for their Vegetarian Source dinner with Worcester Produce i noted how much more the kitchen were becoming in creating interestingly different and creative Vegetarian dishes. How by using the great fresh seasonal produce you are able to get the best extracted from the season. 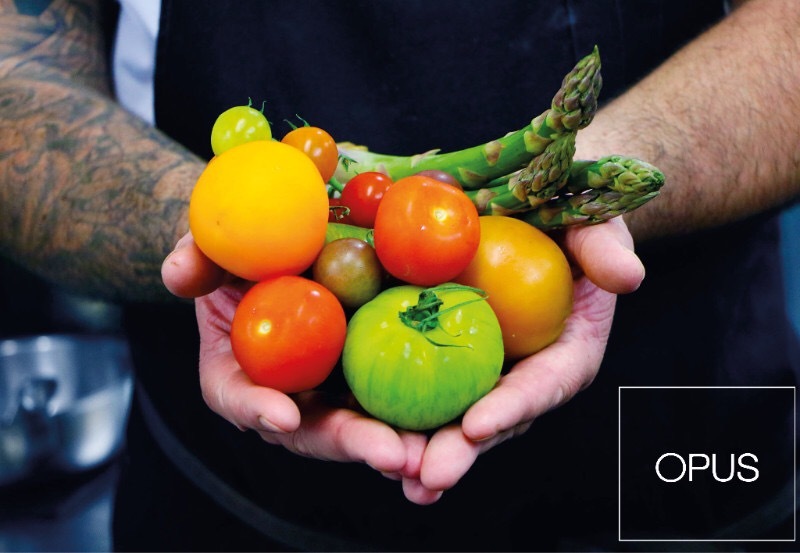 The chefs now seem more adept and positive in creating a menu that gives a permanent showcase for this produce and vegetarians a better and richer dining experience. 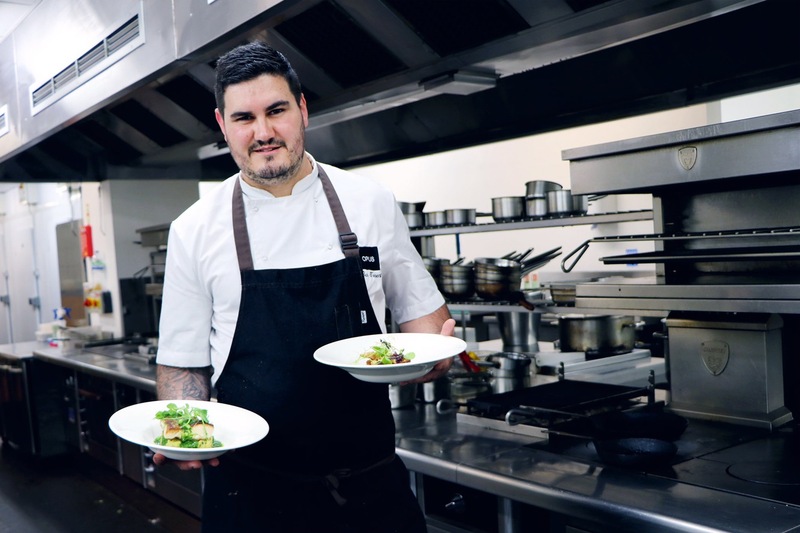 The vegetarian menu at Opus is a natural progression from the Source dinner and one that makes Opus one of the best dining experiences in Birmingham for Vegetarians, and with a couple of Vegan options (though could be more) a restaurant for them to visit too. I’m looking forward to seeing what the Spring will bring to the plate and long may we enjoy the fruits of the producers such as Worcester Produce and Caroll’s Heritage Potatoes in Northumberland. 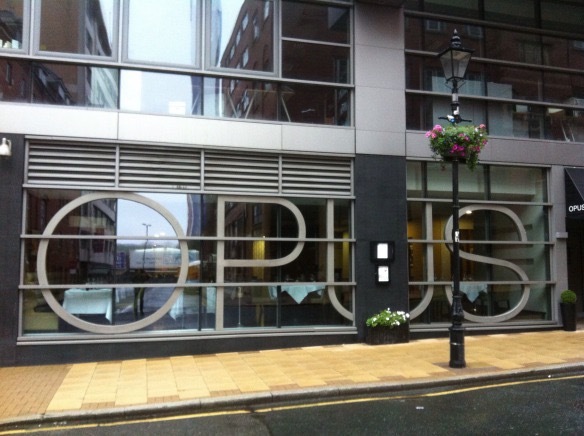 Opus is indeed a special restaurant in Birmingham and now for vegetarians maybe just essential dining. 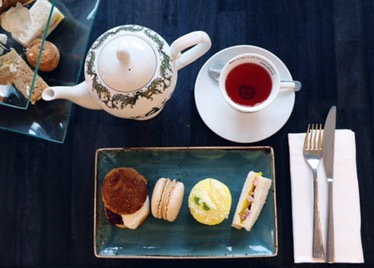 Disclaimer: our meal at Opus was complimentary. This does not affect my honest opinion. All opinions are my own. 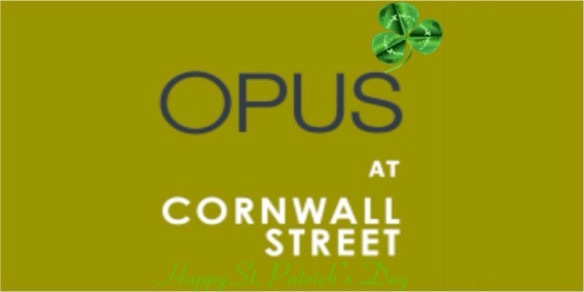 Opus Restaurant, 54 Cornwall Street, Bitmingham, B3 2DE.